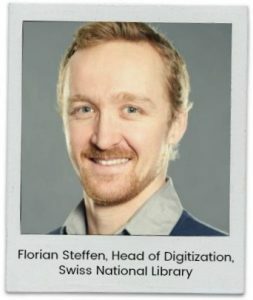 Florian Steffen is Head of the Digitization Department at the Swiss National Library. His team was looking to grow an already very large digital collection. They chose Veridian as the new platform for this important newspaper archive. The project involved migrating the existing archive to our platform. Several institutions combined resources to create a central presentation of digitized Swiss press. These included the Swiss National Library project team, Swiss canton partners, RERO server administrators, and Veridian engineers. Key aims were to ensure the content was simple to find and easy to use. The library was keen to increase public engagement and research opportunities. The Veridian team worked over seven months to migrate 3.3 million pages of PrXML data to the standard METS/ALTO format. We also optimized the Veridian platform to deliver the best user experience in four different languages. 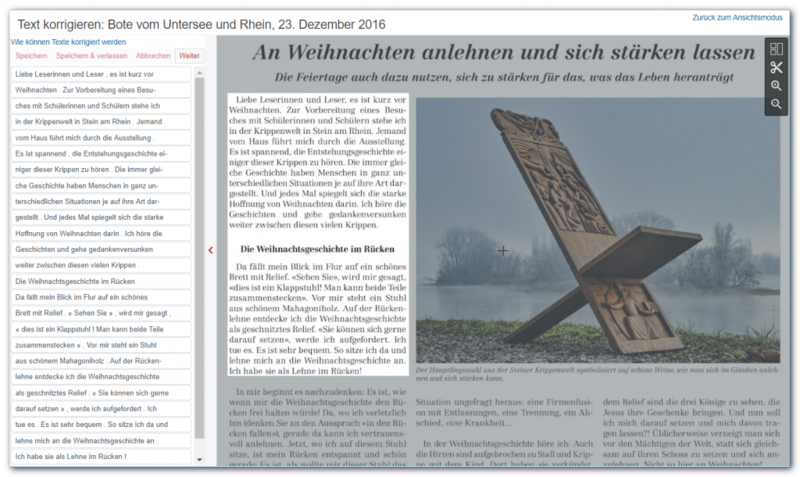 Why did the Swiss National Library decide to shift its digital newspaper collection to Veridian? In the previous solution, metadata-generation (segmentation, OCR etc.) and the platform itself (presentation, research) were not separated and couldn’t be separated. This meant that the metadata format and data structure used for this platform was proprietary. It wasn’t possible to ingest any other segmentation metadata from other vendors. So, first of all, we wanted to have a standard metadata format which could be exchanged and used by others and not just our platform. Also, the segmentation-level was an issue. We hadn’t been aware that it was automatically generated at article-level. As it was fully automated, the quality was rather low. To improve this quality within the previous solution would have been very costly. We were also very interested in functionalities that didn’t exist in the previous solution and which couldn’t be developed quickly. These included text-corrections by the platform-users, commenting and tagging articles and the use of an interactive map to choose regional newspapers. As we had some big projects in the pipeline which would double our page load within a few years, it was a good time to move to another solution. What key improvements have you noticed since moving to the Veridian platform? First, there are the improvements we hoped for. Like being able to use a standard metadata format (METS/ALTO) which can be produced by more than one company. Also giving our users the opportunity to correct the automatically created full text (using OCR). The platform has a more modern design and our users are able to tag and comment on the platform content. In these areas, we got what we expected and a bit more. We also got improvements we didn’t even think of and wish for. The new system is very efficient. Searches with thousands of results are carried out within less than a second. Results are very quickly displayed and newspapers can be viewed very quickly. Another big plus is the size of the collection (size in TB). We had 3.3 million digitized newspaper pages which had to be converted from the previous proprietary format and structured to METS/ALTO. This conversion was done by the Veridian team. After the conversion, the data (images and metadata) were half the size without having any loss of quality. Of course, this has reduced the hosting cost drastically for both us and our partners. How are visitors engaging with your newspaper collection online? The feedback from users so far is quite promising. Librarians, scientists and general platform users seem to be happy with the developments we’ve made. We get a lot of good feedback and very good inputs for improvements and bug fixing. We can see that there are many patrons using new services like text-correction and the tagging and commenting functionalities. 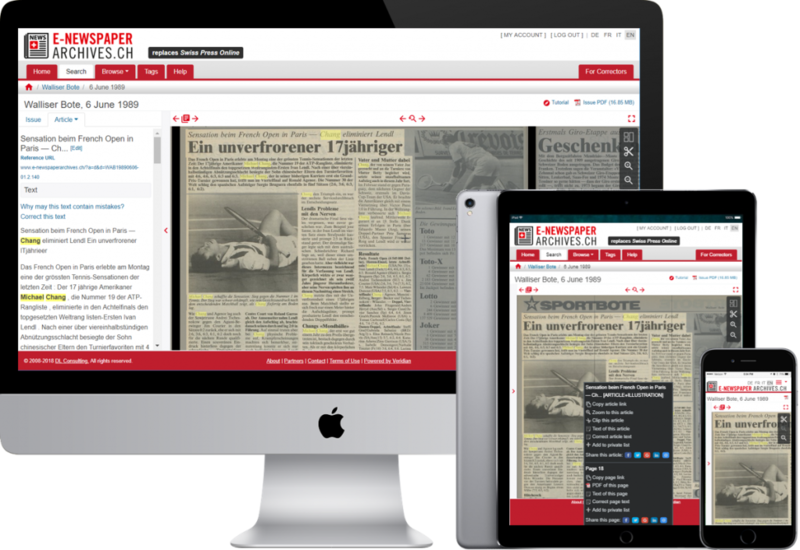 What are your hopes for future growth of the Swiss National Library digital newspaper collection? In terms of pages, projects are running which will double our number of pages to 6 million pages. There are other projects planned but not started yet, which could raise that number up to 8 or even 9 million. How was your experience working with the Veridian team? From the beginning, during the whole project, and also after the system was live and the migration was finished, the collaboration with the Veridian team was excellent. The developments we asked for were finished very promptly, the quality was excellent and the response-time when we were asking questions or for the bug-fixing were quite impressive. Did the Veridian service meet with your expectations? Absolutely. And even more than that. Would you recommend the Veridian service and platform to other libraries or institutions? Yes, the Veridian service and platform are both excellent and we can absolutely recommend them. The Veridian team was very proud to be a part of this great project. We’re looking forward to working with the Swiss National Library to grow the collection larger in the coming years.